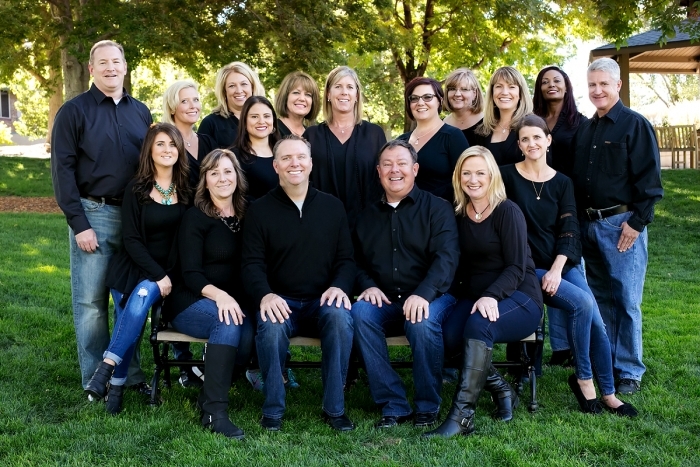 The dentists and staff at our office in Lone Tree, Colorado, are dedicated to providing you with the best care that dentistry has to offer. Our team is fully licensed and experienced, and we foster a comfortable and welcoming setting where your needs are always met with professionalism and kindness. You can expect to receive outstanding service from our caring dental team in every aspect of your visit. In my spare time I like to spend time with my family, biking, hiking, and relaxing with friends. In my spare time I like to play with my 66 lb puppy “Benny”. Now that I’m an empty nester I enjoy visiting my kids in California, Kansas, North Carolina and Fort Collins, and I never miss watching the Broncos, win or lose! In my spare time I like to read, take my dogs on hikes, and cook with my husband. In my spare time I like to watch movies and spend time outdoors with my family. In my spare time I like to go biking and swimming, and work on my photography. In my spare time I like to watch my sons sporting events, camp, shop and spend time with my family. I am an avid Broncos fan! In my spare time I like to spend time with my husband, 2 boys and 1 daughter. We love all things Colorado – camping, skiing & traveling. In my spare time I like to go on vacations with my family and go on Jeeping adventures around Colorado. In my spare time I like to garden and knit, watch the Rockies and Broncos, and spend time with my family. In my spare time I like to spend time with family and friends, and I enjoy running, biking and skiing. In my spare time I like to go skiing and hiking with my family.